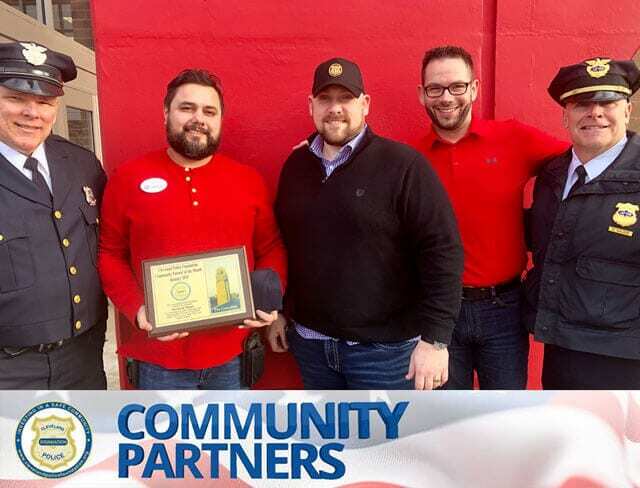 The Cleveland Police Foundation proudly announces that the recipient of our Community Partner of the Month for January 2019 is Target at Steelyard Commons. The Cleveland Police Foundation announces its Community Partner of the Month: our good friends at Target at Steelyard Commons! Target has been a tremendous partner for not only the Cleveland Police Foundation but also for Cleveland Police. Since opening at Steelyard, they have donated school supplies, clothing, and a variety of supplies for those in need in our community. Target has also been a major sponsor of National Night Out Against Crime. This event, hosted by Steelyard Owner First Interstate Management Group, is the largest NNO gathering in Cleveland. Target offers large discounts to our Cleveland Police Patrolman Association’s “Shop with a Cop” which provides a Christmas shopping spree for children who have been affected by crime. They also offered steep discounts to Skylight Financial Group’s Toy Drive for the Holidays, which offers thousands of gifts to Cleveland Cops for Kids for Christmas presents to needy families all over Cleveland. It is because of their dedication and generosity that we name Steelyard Target the Cleveland Police Foundation Community Partner of the Month for January 2019.